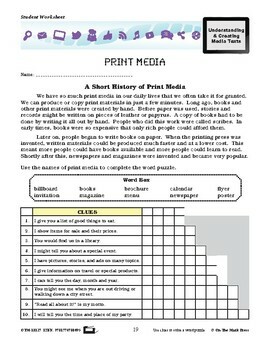 This lesson plan consists of a short history of print media. 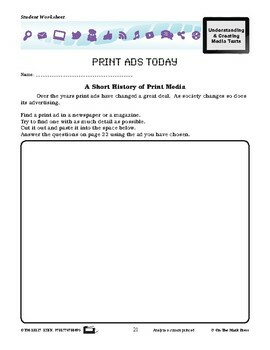 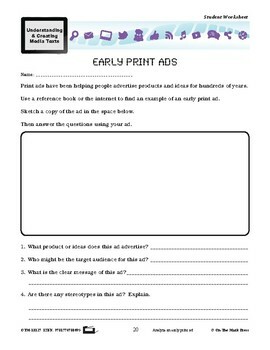 There are activities on print ads, comparing and contrasting print ads and designing your own print advertisement. 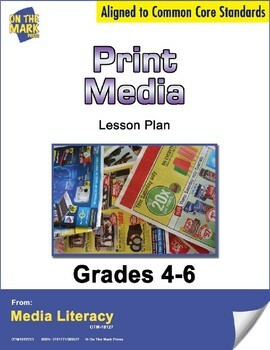 Meets Common Core by using clues to solve a word puzzle, analyzing an early print ad, analyzing a current print ad, comparing and contrasting print ads and designing a print ad.